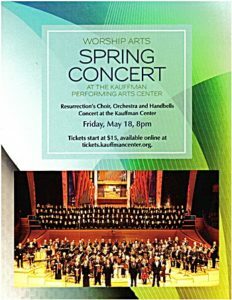 Church of the Resurrection combined it’s wealth of musical talent with orchestra, handbells, and chorus creating a 2-hour-plus concert in Kansas City’s world famous Kauffman Center for the Performing Arts on Friday, May 18. 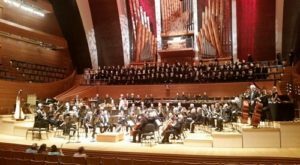 With the first half predominately featuring religious music and the second half featuring patriotic standards, COR’s combined music teams used the acoustics of the Kauffman Center to its advantage. 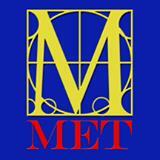 Several pre-concert pieces on the Kauffman’s pipe organ set the tone for the concert to follow. Act I began with several well-known hymns, “Be Still My Soul,” “Let Everything that Hath Breath,” “Be thou My Vision,” “All Creatures of Our Got and King,” “Beside Still Waters,” “Great Is Thy Faithfulness,” “Let All Things Now Living.” The opening act featured Justin Bates, Brian Lowe, and Will Peak. A more classical piece, “Requiem for the living” a five-movement piece allowed the orchestra to be featured with a long, intricate classical piece. 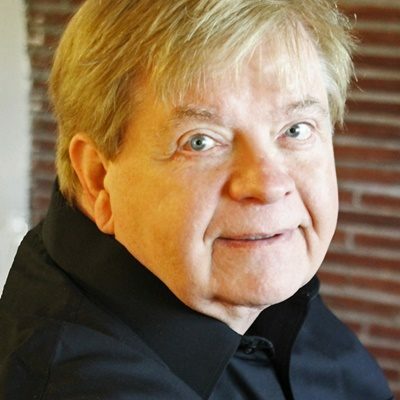 Three vocalists Doug Jones, Alice Anne Light, and Ashley Yvonne Wheat performed short solo pieces within the greater work. 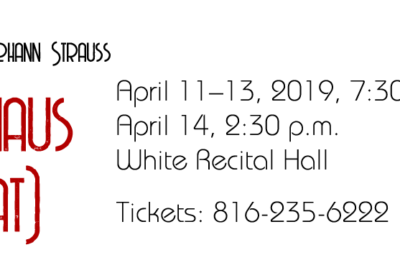 For Act II, Julie Weber stepped out from the orchestra’s rousing rendition of John Phillip Sousa’s “Stars and Stripes Forever” number and delivered a virtuoso piccolo solo that always makes “Stars and Stripes Forever” so memorable. The concert, very well-attended ran over two hours. Senior pastor, Adam Hamilton made a short on-stage appearance to thank the participants for their generosity in providing their musical talents for the audience and to invite guests to attend future COR worship and special offerings.